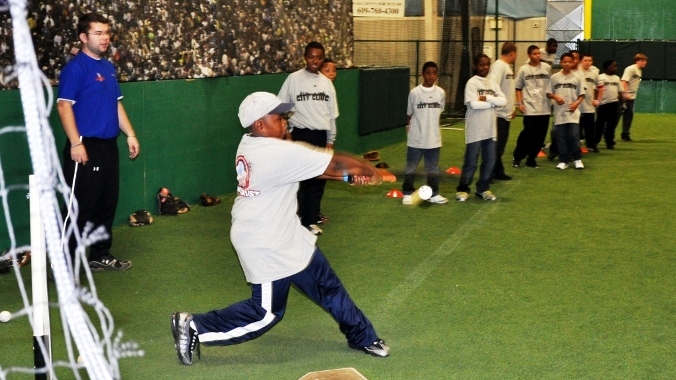 Providing a fun and positive baseball experience for kids is a mission of the Cal Ripken Sr. Foundation. 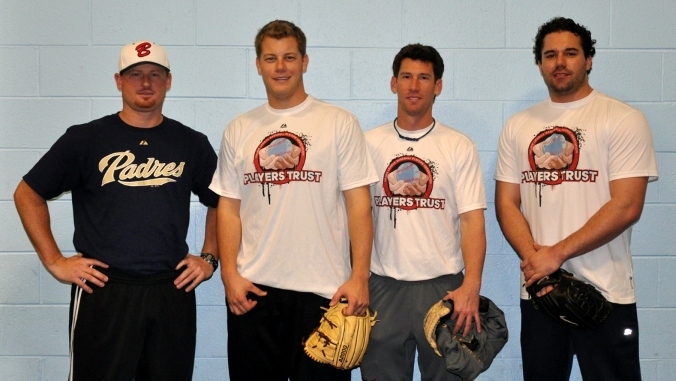 On Saturday November 12th, We Drop Bombs hosted the Cal Ripken Sr. Foundation in the facility. The purpose of the event was to bring in youth baseball players from Camden and Philadelphia to participate in a learning experience with positive role models while teaching young ball players the game’s fundamentals in a multi-station format. Area’s covered included, fielding, pitching and hitting. 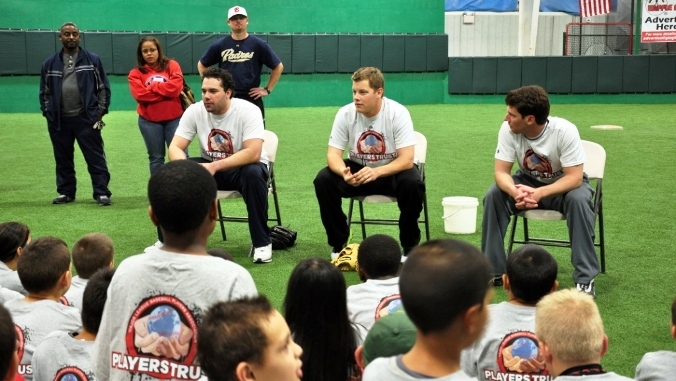 On hand to help conduct the clinic were MLB relief pitchers, Andrew Bailey and Craig Breslow of the Oakland Athletics and Zach Braddock of the Milwaukee Brewers. “Being able to come back to South Jersey to spend time teaching the kids of Philadelphia and Camden the game baseball is something I feel honored to be a part of. Growing up in this area, I understand the importance in athletics and after school programs. I think the best part of the day is the question and answer session where I can express the importance of athleticism, school work, aspirations, and hard work. I hope to team up again with Major League Baseball and The Cal Ripken Sr. Foundation to bring a clinic like this to South Jersey every year,” said Andrew Bailey. We Drop Bombs Baseball Academy will continue to provide youth athletes with opportunities like this by hosting future events. After all, the satisfaction of training youth baseball players comes from watching them progress and succeed by achieving their goals within the sport. Your head is the most important in your swing. If you can’t see it, you can’t hit it. Learn the contact points on inside, down the middle and outside pitches. Development Is More Important Than Winning! 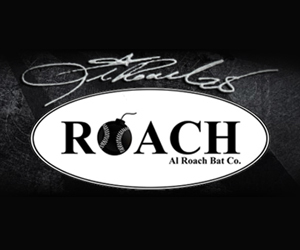 Winter Hitting Clinic – Get In Hitting Shape For Spring!